1. What is the Volume Discount Program? The Volume Discount Program provides PIKEPASS customers an additional 5% discount on their toll charges when they have 20 or more qualifying toll transactions, per each tag on account, in any given month. The additional 5% credit will reflect on the following month’s statement. For example, you charge 20 qualifying toll transactions to one PIKEPASS tag on your account during January. The additional 5% credit will reflect on your February statement, received in March. 2. Who is eligible for the Volume Discount Program? All PIKEPASS customer accounts receiving the PIKEPASS rate are eligible for the Volume Discount Program. Your PIKEPASS account must maintain a positive account balance during the month for each toll transaction to qualify for the additional discount. Transactions on accounts maintaining a negative balance for 14 days will not qualify for the additional discount. Cash Rate accounts are not eligible for the Volume Discount Program. 3. What is a “qualifying transaction”? Any toll transaction receiving the PIKEPASS rate is classified as a “qualifying transaction”. If your account balance remains negative for 14 days, your toll transactions will be charged to your account at the specified cash rate. These transactions do not receive the PIKEPASS rate, and therefore are classified as “non-qualifying” transactions and are ineligible for the additional discount computation of 20 or more toll transactions during the month. Payment to your account establishing a positive balance at any time during the month will then qualify any remaining transactions charged to your PIKEPASS tag for that month. The toll charges incurred to your account while your account was negative will not qualify for the additional discount. Any toll transactions charged to your account during a month, prior to your account maintaining a negative balance for 14 days will also qualify for the additional discount computation. Basically, any transactions while maintaining your account in a good status will qualify for the additional 5% discount computation. 4. Is the discount per PIKEPASS or per account? The additional 5% discount is calculated per PIKEPASS tag, not account. This means each PIKEPASS tag on your account that incurs 20 or more qualifying toll transactions in any month will receive the additional 5% discount for those specific tolls. Any PIKEPASS tag that does not incur the minimum 20 qualifying toll transactions during a month will not receive the additional 5% discount for those specific tolls. 5. Why has the PIKEPASS discount been reduced to 5% instead of the original 10% prior to the toll rate increase? In order to pay the debt service requirement from the sale of bonds utilized to construct the extension projects on the Creek Turnpike in Tulsa, the Kilpatrick Turnpike in Oklahoma City and the H.E. Bailey Turnpike in Norman, the road package was developed with and contingent upon a toll rate increase effective January 1, 2001. PIKEPASS customers with 20 or more qualifying toll transactions per month, per PIKEPASS tag, will receive the additional 5% discount with our Volume Discount Program and the discounted rate remains the same. 6. Why should frequent PIKEPASS users receive a higher discount than the occasional user? Inventory costs increase when PIKEPASS tags are not used frequently. 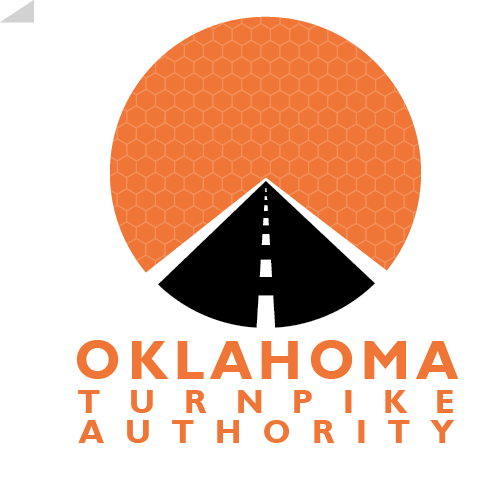 This program has also been designed to reward the frequent user with an additional savings for the increased traffic provided to the Oklahoma Turnpike System and assist the customer to offset the toll rate increase. 7. If I replace my PIKEPASS tag during the month and between the two tags I have 20 transactions, but less than 20 transactions are totaled on each individual PIKEPASS tag; will I still receive the discount? Unfortunately, at this time, the system will not automatically match the two tags, recognizing one has replaced the other. Therefore, your statement will not reflect the additional 5% discount. You may call the PIKEPASS Customer Service Center so that your account can be evaluated to see if the additional 5% discount should apply. If applicable, your account will be credited the appropriate amount. For additional information or general PIKEPASS inquiries, please visit our Frequently Asked Questions or contact the PIKEPASS Customer Service Center directly.